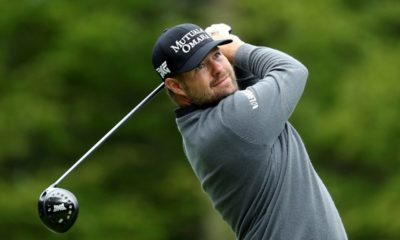 Neither Branden Grace or Chez Reavie have shown a whole lot in their ball-striking or putting to suggest they can be a surprise winner to emerge out of this group, so this is likely a two-horse race between Matsuyama and DJ. 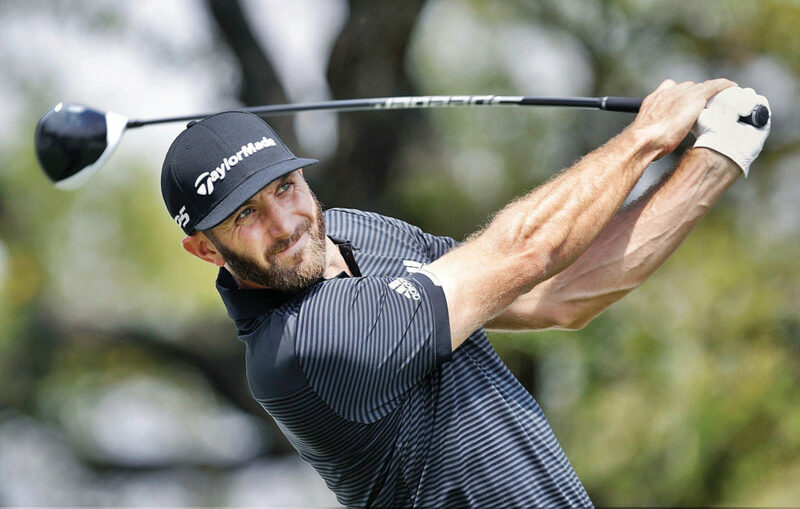 Both are striking the ball beautifully tee-to-green, but given Hideki’s continued struggles with the putter I’ll side with the chalk and back Dustin Johnson to advance to the knockout round. While both Gary Woodland and Emiliano Grillo have put up outstanding ball-striking statistics of late, both have really struggled with their putting and that should ultimately keep them from advancing. While Rose has a win on his resume in 2019, he’s been a little up and down this year and I’m not sure how committed he’s going to be at this event with the Masters looming in the distance. That’s his White Whale given all the near misses at capturing a green jacket. Instead, I’ll go with Eddie Pepperell to pick up the group win in an upset. 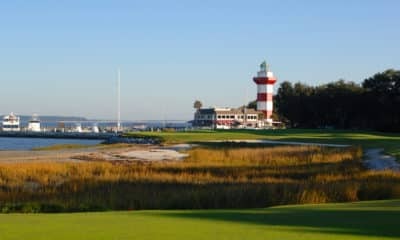 While Pepperell has been up and down with the ball-striking, he showed well at TPC Sawgrass a few weeks ago and has been putting solidly in all his PGA Tour starts this year. Yuck – that’s one word to describe this group. 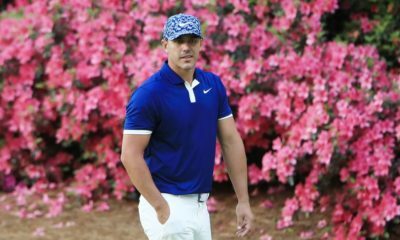 I can’t imagine Brooks Koepka gives two licks about this event with the Masters looming just over the horizon, so I expect him to sleepwalk through group play. Alex Noren has not been the same player since his breakout play on the PGA Tour last winter, as both his ball-striking and putting are an absolute mess at the moment. Haotong Li has failed to transfer the success and promise he’s shown on the European Tour to events in the United States and has very little match play experience in his career. The same goes for Tom Lewis, who has almost no experience in American events and has cooled off after his hot start to begin his season on the European Tour. With no great option in this group, I’ll go with the most accomplished match play golfer in Alex Noren to advance, though I have very little confidence in that pick. It’s tough to go against Rory McIlroy at the moment given his string of six straight Top 10 finishes, his win at the Players Championship and his PGA Tour leading 2.41 Strokes Gained Tee-to-Green. But with his focus heavily invested in preparing for The Masters and on the heels of a win, I don’t think we’ll see a fully engaged Rory McIlroy this week. Instead, I’ll go with Matthew Fitzpatrick in an upset to advance to the knockout round. Fitzpatrick seems to have figured out how to succeed over on the PGA Tour and has put up solid ball-striking and putting statistics on the season. That combination is a perfect blend to be a lethal match play competitor. I’m a little worried about Justin Thomas as his ball-striking numbers just haven’t been very sharp over his last three tournaments, particularly with his irons. Inconveniently it seems this dip in production coincided with the wrist and arm injury he suffered at the Honda Classic a month ago. If that’s still an issue, I’ll expect him to play a little cautious and look to escape the tournament healthy to prepare for the Masters. As far as the other competitors in the group, Keegan Bradley is by far the superior ball-striker and by far the inferior putter, which should come back to haunt him by Friday. And with Lucas Bjerregaard fortunate to even be in this field as a result of strong European Tour finishes last fall, that leaves me to back Matt Wallace to come out of this group. Wallace hasn’t had some of the early struggles most first-time Europeans on the PGA Tour face, and his solid all-around game should fare well in the match play format. While this may be Bryson’s first WGC Match Play appearance, he’s certainly no stranger to success in other Match Play formats. While he ultimately lost to Alex Noren, Bryson showed grit and toughness in his singles match despite the outcome of the Ryder Cup already decided. He also won the 2015 U.S. Amateur and has both experience and success on Walker and Palmer cups. There isn’t anyone else in this group who scares me, so I’ll go with the chalk on Bryson DeChambeau to advance. Like Group A, this one should set up a two horse race between Francesco Molinari and Webb Simpson. While Webb’s ball-striking of late has been superior to Molinari’s, his putting has been a little erratic of late. Given his dominance at the Ryder Cup, his consistent ball-striking and his currently hot putting, look for Molinari to advance out of the group. 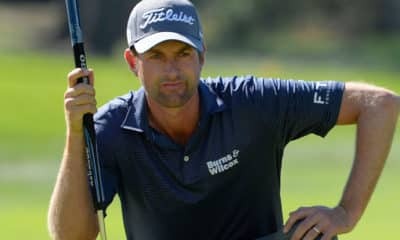 Neither Holmes or Siwoo are showing form at the moment to be considered threats to advance to the knockout stage, so the group should come down to the two favorites in Rahm and Kuchar. While both have put up similar ball-striking statistics this year, it is Rahm who is currently in better form. Rahm also responded well last week at the Valspar after melting down in the final round of the Players Championship. As long as he doesn’t tell his caddie to pound sand and try a crazy 220 yard hook from a bunker, around a tree and over a water hazard, Rahm should advance out of this group to the knockout stage.